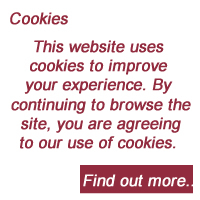 This book is also available as an eBook. Select "Downloadable ePattern" from the pattern type drop down menu to download a pdf of this book. Not available as an epub, nook, or .mobi. 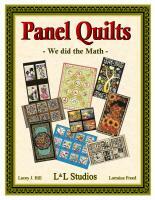 If you quilt, you have scraps. Lots of scraps. Mountains of scraps. 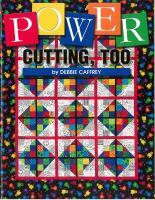 Use The Thrifty Quilter System to organize your scraps and quickly turn them into colorful quilts for family, friends or charitable donations. 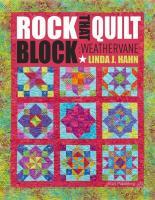 With just three simple pieces, you can make any of the 80 blocks in this book in 2 sizes. Six setting options are included, giving you hundreds of design possibilities. 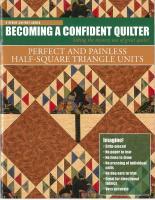 And if that wasn't enough, the quilt patterns in this book are AccuQuilt GO! compatible! 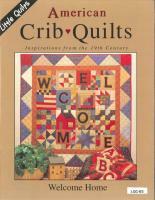 Book by Anne Wiens of Sweetgrass Creative Designs.